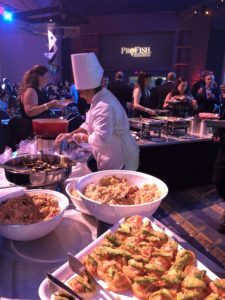 Food service professionals and those who write about them, publicize them, and eat and drink in their establishments gathered at the Walter E. Washington Convention Center Sunday night for the 36th Annual RAMMY Awards. It was a beautiful night with attendees glammed up and ready to celebrate. 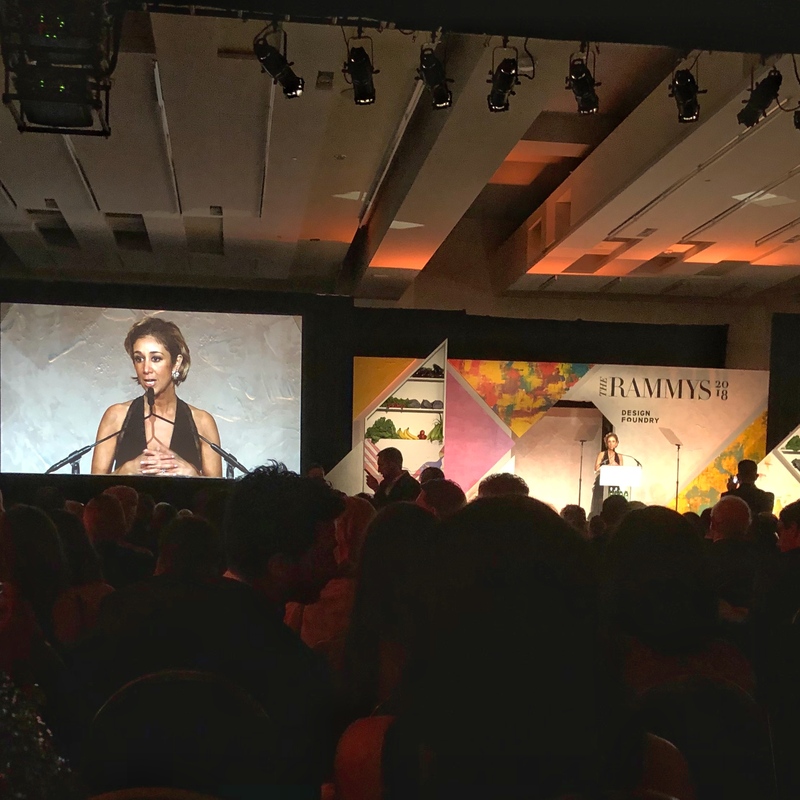 There is plenty of food, drink, dancing, and schmoozing at the RAMMY’s, but first the Restaurant Association of Metropolitan Washington (RAMW) announced winners in 21 award categories at an awards ceremony. The selection process for the winners involves the voting public and an anonymous panel of volunteer judges, consisting of food and dining journalists, educators and industry professionals. 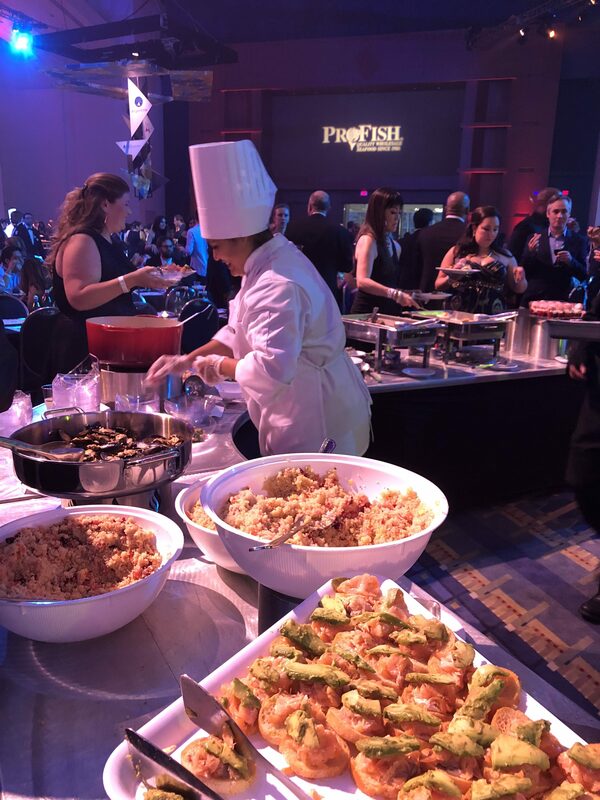 An online vote open to the public decides the winners in four categories: Favorite Gathering Place of the Year, Upscale Brunch, Everyday Casual Brunch and Favorite Fast Bites. 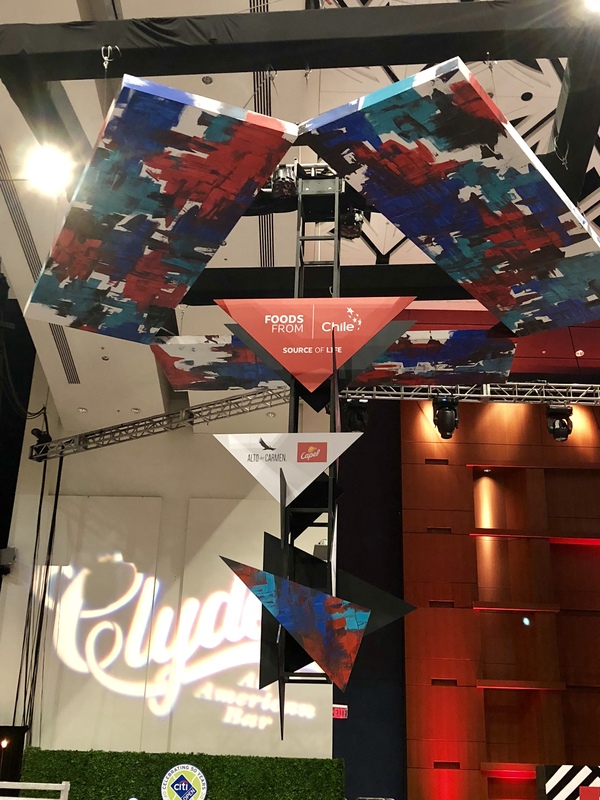 Stipulations: Nominees must be members of RAMW, previous winners cannot be nominated again in the same category for five years, and some categories require restaurants to be open a certain number of years to be eligible. KATHY E. HOLLINGER. President & CEO of the Restaurant Association of Metropolitan Washington welcomes the crowd to the RAMMYS. RAMW honored four additional members with the Joan Hisaoka Allied Member of the Year, given to USI Insurance Services for exemplifying commitment to and support of RAMW, the Duke Zeibert Capital Achievement Award, presented to restaurant founder and publican Daniel J. Coleman for his hard work and outstanding initiative that has increased the profile and success of the metropolitan Washington foodservice community, the Exceptional Leadership & Impact Award presented to José Andrés and Patricia Fernandez de la Cruz for their remarkable contributions to the Washington, DC region, and for their incredible efforts they have taken as citizens of the world, and the 2018 Honorary Milestone RAMMY Award given to Tony and Joe’s, a Georgetown dining staple celebrating 30 years on the Washington Harbour. These awards were determined by RAMW’s Executive Committee. Countries showcasing their food at the RAMMY’s dinner: Peru, Chile, Argentina, Korea, and Tunisia. 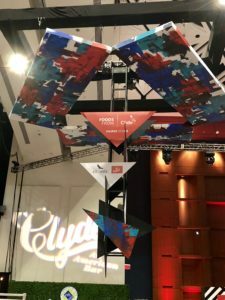 ProChile and the Embassy of Chile who are long-time partners of RAMW and supporters of the DC restaurant community went all out. They offered up a menu of Chilean quinoa salad, baked Patagonia Mussels gratine, hot smoked Chilean salmon, grass-fed beef meatballs, salmon stuffed with asparagus and tomatoes, and wine-soaked Chilean berries with macaron.